It is so unfortunate that most people know little to nothing when it comes to quinoa. It even gets worse when diabetes comes into the picture. Most people wonder whether consuming quinoa as a diabetic is healthy given the fact that it is a seed rather than a grain. Well, in this one thing is true, quinoa is a seed and there is more to this seed than the naked eye can see. If you are struggling to keep your blood sugars low then it is not recommended that you eat quinoa. Here are the reasons why you should do this. Most people refer to quinoa as a superfood you will see such posts in health magazines and food stores. So what is quinoa? There are those who refer quinoa as an ancient grain, however, the part of that we eat is actually the seed. The plant in which quinoa grows is referred to as goosefoot plant and was natively grown in South America. 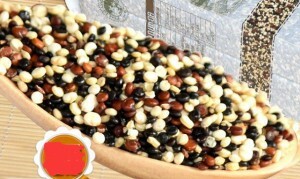 Naturally, the seeds are hard but after being cooked they soften and they are often used as an alternative to wheat pasta and white rice. It is impossible to ignore the nutritious value these seeds possess and the fact that they are gluten-free makes them an ideal healthy meal. For someone healthy, there is no reason why you shouldn’t consume quinoa but if you are diabetic then you might want to think twice before doing this. Every diabetic person knows that they should keep track of their carb intake if they want to maintain controlled blood sugar levels. Typically, carbs are broken down into sugars which cause a spike in the blood sugar levels. This doesn’t mean that you should completely avoid carbs in the body but rather consume the amount recommended to you by your doctor. Half a cup serving of quinoa that is cooked contain approximately 110 calories, 4g proteins, 20g carbs and 3g fiber. This is too much given the recommended amount of carbs one should eat in a meal should be no more than 60g. However, if you adjust your diet you can safely include quinoa in your day to day diet. Different carbs are digested differently in the body. There are those that get digested very fast being broken down into sugar causing a post-meal spike in the blood sugar levels, these foods are said to have a high glycemic index. There are also those that get broken down rather slowly meaning that there will be no spike in the blood sugar levels. These foods are said to have a low glycemic index. In particular, quinoa is considered to have a low glycemic index since its carbs are digested rather slowly causing only a minor rise in the blood sugar levels. In just half a cup serving of quinoa, there are 3g of fiber. This means that quinoa is a good source of fiber which is essential for people with diabetes. Actually, eating foods rich in fiber not only helps to lower the blood sugar levels but also reduce the levels of bad cholesterol in the body. 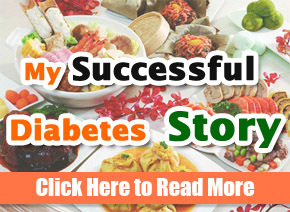 Fiber also promotes the increase in blood insulin levels which is useful for people living with diabetes. In just half a cup serving of quinoa, you get 20% of the recommended value of magnesium in a day. Given the fact that most diabetic people are magnesium deficiency they can do with so some added magnesium. Magnesium helps control the blood sugar levels by increasing the sensitivity of insulin in the body cells. 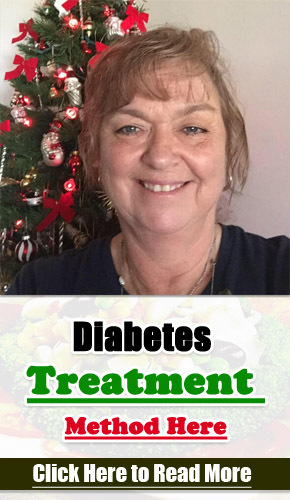 People with diabetes have to accept the fact that for them to lead a healthy life they have to manage their diet so as to maintain controlled blood sugar levels. One of the best ways in which this is done is by ensuring they have a meal plan with foods that have a low glycemic index, well, in other words, won’t cause a spike in the blood sugar levels. Quinoa falls in this low end. Most grains lack adequate amino acids for them to be referred as a complete protein. 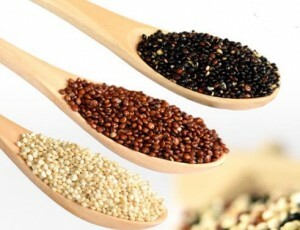 Quinoa is an exemption and the amino acids in it cement its place among the protein-rich grain. You will also get fiber when you consume quinoa all which helps slow down the breakdown of carbs on to sugars. Meaning that you won’t have a post-meal spike in the blood sugar levels when you eat quinoa! Just because you have diabetes it doesn’t mean that you should entirely avoid consuming foods rich in carbs. You need the energy that only carbs can provide for this reason it is recommended that you choose nutritious grains that will give you carbs as well as other essential nutrients. Quinoa makes the cut in this. Just like most other grains you can purchase quinoa in grocery shops in either packed containers or in its bulk form. When growing naturally, this grain develops a rather bitter coating meant to discourage pests from feeding on it. However, most people are not aware of this since the quinoa that you buy from the grocery shop is usually prewashed to get rid of the coating. At home, you can further rinse it with cold water to remove any bitter residue left.